This past week, PRI has been featured in two different news outlet stories! 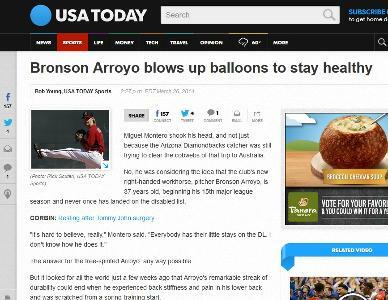 Yesterday's issue of the USA Today included an article about Arizona Diamondbacks pitcher Bronson Arroyo and his stategy to stay off the disabled list, which includes PRI and blowing up balloons. CLICK HERE to read the article online. PRT's Neil Rampe and Andrew Hauser along with the entire Arizona Diamondbacks athletic medicine and performance staff deserves some kudos here! In another story, PRC therapist Jon Schultz from Des Moines, IA was featured by a local television station KCCI News8 in the story titled "How Learning to Breathe Could Help Your Recovery". To see this great video, CLICK HERE! Having recently returned home to Australia from visiting Ron and his team at Hruska Clinic and the Postural Restoration Institute, I can honestly say that I found the experience observing this brilliant team as second to none. Ron and his staff were such warm, hospitable people who so generously shared their knowledge and expertise, and the opportunity to witness their Practice in action has been nothing short of life changing. I want to take this opportunity to sincerely thank both Ron and his team for welcoming me to Lincoln, and I am excited to continue my studies with PRI and look forward to visiting the clinic again in the future. Regards, Jason Thomson. 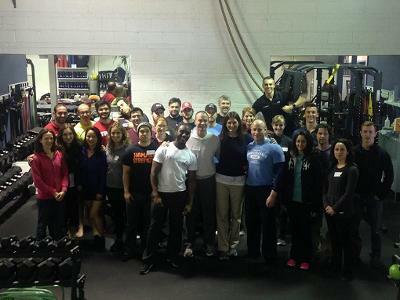 A few weeks ago, we hosted Ron, Jen, and our first PRI course at Indianapolis Fitness and Sports Training (IFAST). It was the best family reunion ever. What a great weekend teaching Myokinematic Restoration in Montreal at CoreXcellance! I was fortunate to bring my husband Chris with me as my lab assistant. Chris and I had a great time enlightening the multi-disciplinary course attendees about the Power of Position on Performance. The Team of CoreXcellance is excited about the Integration of PRI into their facility and we had a diverse group of clinicians from Athetic Therapists, CSCS trainers, Massage therapists, Physiotherapists and Osteopathic physicians for Canada! They are excited about PRI North of our border and it never gets old watching the “Ah Ha” moments and Paradigm shifts. At the end of the course, Chris took some time to share his experiences incorporating Myokinematic and PRI principles into the strength and conditioning arena! We even enjoyed some Taste of Montreal a delicious dietary cheat “Poutine”. Thanks to all of our new Canadian friends for spending the weekend with us! We look forward to growing PRI in Canada! This is one title of a slide from the many that Susan Henning will use to present historical perspectives and current overviews on how to slow, halt, or reverse spinal curve progression. She has a strong experienced-based background on this subject and her presentation is already preceded by her clinical passion and genuine caring personality. Susan’s willingness to share her story about two complimentary programs in a manner that will help you better explain to a young person the reason for curve patterns and “trunk changes”, is a gift to us. I know no other person like Susan, that can facilitate a proprioceptive, kinesthetic, and respiratory self awareness attitude or a self-correcting program like Susan can. This, in my opinion, will be the hallmark of our 2014 symposium! Registration is still available for the upcoming 6th Annual Interdisciplinary Integration Symposium, being held April 10-11, 2014. CLICK HERE learn more and get registered today! 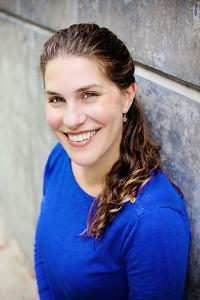 Unload with Yoga: You Don't Want to Miss Emily's Presentation at Interdisciplinary Integration! After reviewing Emily's presentation material, attendees will learn how to drive their diaphragm and therefore control both gravitational forces and barometric forces. This physical therapist and yoga teacher will explore the ancient concepts and modern application of yoga breathing techniques (pranayama) to help the PRI clinician fully experience and appreciate the power of the diaphragm contraction. She will offer guidance and suggestions that can immediately be implemented into a client's work out program to maximize respiratory and performance awareness. I can't wait for this uplifting two hour talk! There is still space available for the 6th Annual Interdisciplinary Integration Symposium. To register, CLICK HERE! Impingement & Instability (Woodbury, MN) - "Karen and Carrie and the staff at Kinetic Physical Therapy Institute were fantastic hosts for a wonderful weekend of Impingement and Instability. It was great to spend the weekend with 2 clinicians I have always respected and appreciated dating back to before we went through the PRC process together back in 2004. It was great to reflect back on the development of PRI’s courses, including the new updates and developments to this Impingement and Instability course. We had a dynamic group of PTs, PTAs, Fitness and Strength professionals, 5 PRI Credentialed Professionals, a dynamic Sports Medicine minded Family Practice Physician and my favorite, an Engineer who is pursuing fitness and performance as a second career. It was clear that being an Engineer was a definite asset that helped Jacob understand the three dimensional integration of movement that is such an important part of understanding PRI. And Dr. Dave, you are easily one of the most open-minded and interested physicians that I have ever met out on the PRI circuit. A physician that regularly assesses his patients for body asymmetry and an imbalance of movement in spite of their symptoms is very uncommon. Your insights as a physician with experience training the US Ski Team was really an asset to our discussion on ischial tendonitis. A couple other take home messages from this weekend were to always ask if your patient’s ribs move the way they should to allow for tri-planar body performance and to remember the value of training right trunk rotation when you are standing on your right leg. The group did a fantastic job incorporating advanced concepts in a way that will allow them to balance neurology and performance on a wide variety of patients and athletes." 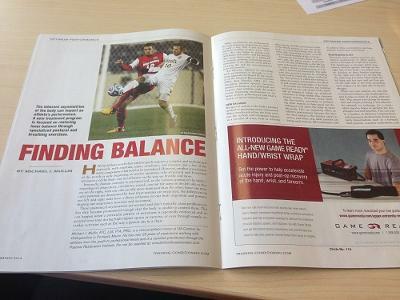 Michael Mullin, ATC, PTA, PRC was featured in this month's issue of Training and Conditioning. If you received your issue in the mail, be sure to check out Michael's article titled "Finding Balance" on pages 28-33, or CLICK HERE to access the online version. The hard copy however features photos which do not accompany the online version, and is a great resource for clinicians and patients as well. Great job Michael! If interested, you can sign up for a free subscription to this publication, Training and Conditioning. After a number of us took your Postural Respiration course this winter, it opened our eyes to the very prevalent pattern displayed by a large number of our athletes. We also took and have been using the Myokin course material with good results. Now, we have since been using the AIC and BC tests and treatments and are coming up with amazing results. As you know, in our population, GH IR is a huge topic and concern for us. What we are finding after treating our BC athletes, there is on average a 10+ degree increase in GH IR! That is huge for us and they are maintaining the increase. We have also had a few athletes with long running problems with their shoulders become pain free with throwing after a day or two of the Respiration process. We are excited about the baseball integration course here in November since the more we experiment with what we know, it only brings up more questions and ideas on how to implement it.